Besnik Duraj is a partner at Drakopoulos Law Firm Albania. He is actively involved in counseling and advising both national and international businesses with interests in Albania and Kosovo. 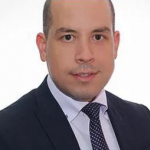 Besnik is a Corporate, M&A, and Real Estate attorney who regularly deals with Customs law related matters, having gained considerable experience prior to joining Drakopoulos, and working with major international firms in Albania and Kosovo such as PwC, Eversheds and CMS.